Today Gary sets off on a build of many parts. The new FineMolds 72nd scale F-14D Tomcat kit is being delivered to model makers in a peculiar way, the kit comes in four different parts via a package with the Japanese model magazine “Model Graphix.” We will look at each of these magazine parts that supplement the model sprues that come along with it. 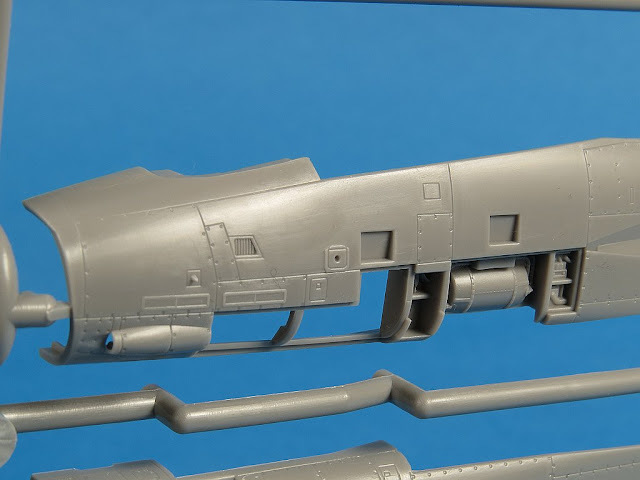 Today part I – Model Graphix 7 & sprues A, B & C.
Today we begin a multi-part review (and build) of the brand new tool F-14D Tomcat from FineMolds in 1/72. 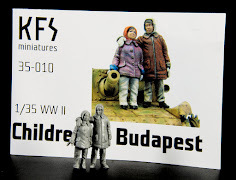 The Japanese-based FineMolds are best known to many of us as makers of amazingly detailed science fiction (in particular Star Wars) kits and a range of detail accessories ranging across photo etch, brass, resin and decals. 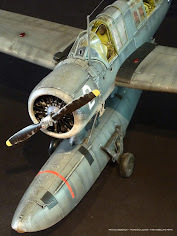 FineMolds already has a respectable range of WWII AXIS aircraft in 1/48 and 1/72 but to date they have not really ventured into modern subjects and so I took particular interest when HLJ asked us to review this new F-14D. This is the first all-new-tool Tomcat from a Japanese maker in over two decades and looks to be a very good one. Now before you rush off and try to order this kit it’s not actually available to purchase, well not all in one box at least. 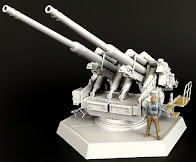 You see the only way to obtain all the parts of this kit is by purchasing them in conjunction with the Japanese Model Graphix magazine. 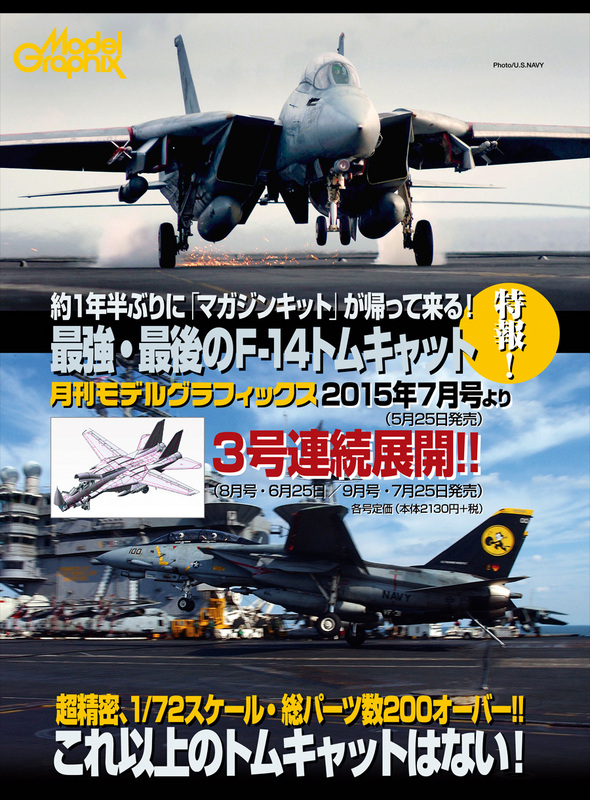 The new F-14D kit will be split across three issues of the magazine and at the time of writing the first two parts are out (July & August) with the third and final installment due in September. 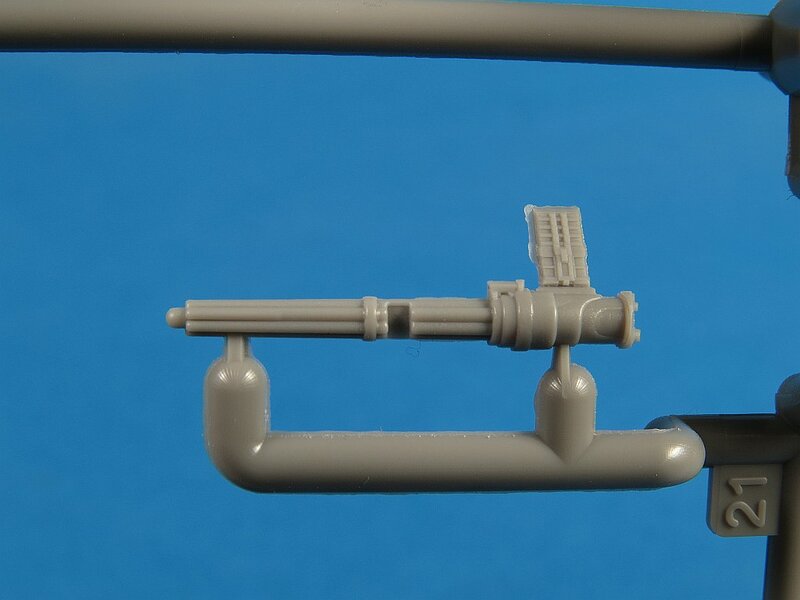 If you want the weapons sprue designed for this kit then you will find those in a fourth magazine - SA Scale Aviation. 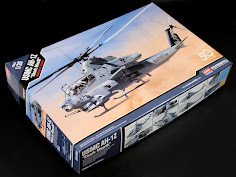 Model Graphix is described by HLJ as “Japan's most well-rounded hobby magazine, full of articles on all modelling genres including aircraft, figures, science fiction, cars, ships, and more. 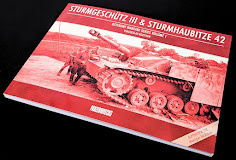 Excellent photography throughout.” All text is in Japanese. 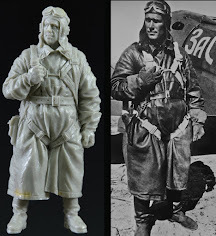 FineMolds has a history of partnering with Model Graphix to release aircraft kits spread across multiple issues and in some cases, these models are exclusive to the magazine subscribers and are not offered alone as a separate standalone kit. So let’s get down to it. 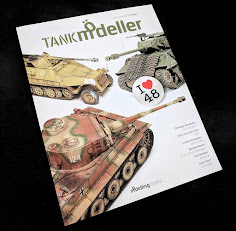 In this first review I’m going to take a detailed look at what we get with the July (07) 2015 issue of ModelGraphix. 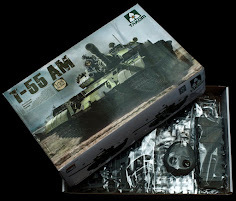 Shipped with the magazine is a thin sturdy cardboard box that contains 3 sprues plus the decal sheet. The kit has been broken down and supplied in such a way to allow builders to work on each sub assembly while waiting for the next installment. 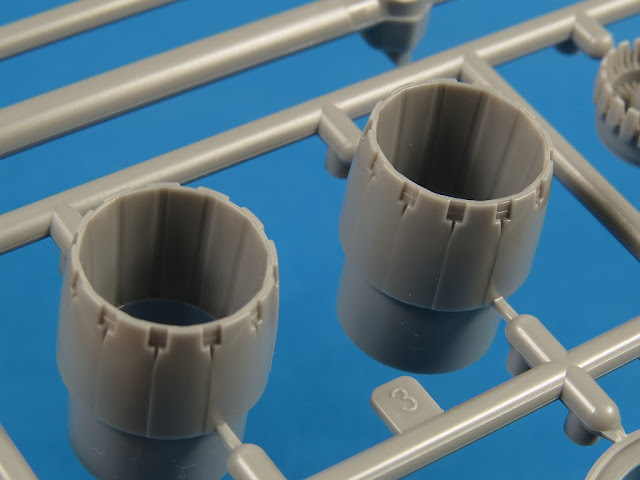 Each sprue is packaged in its own plastic bag and I’d be very surprised if anyone ends up with damaged parts with the obvious care that has been taken to protect them. Once you remove everything from its packaging we end up with sprues A, B, C and the decal sheet. 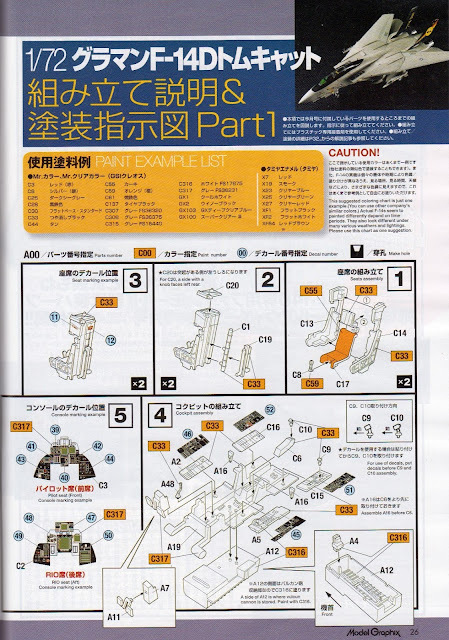 The assembly instructions are provided in the magazine (and are provided in English also). 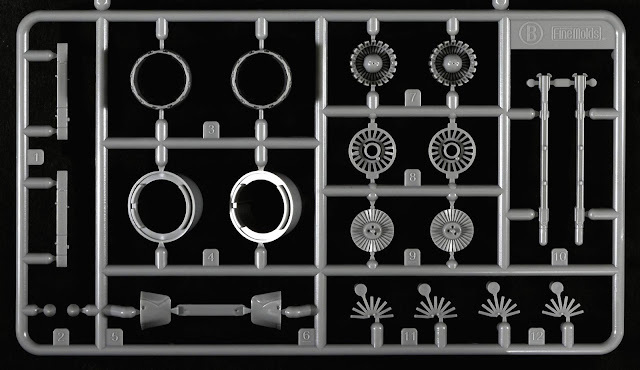 Note that not all the parts included in the provided sprues are designed to be assembled at this time. 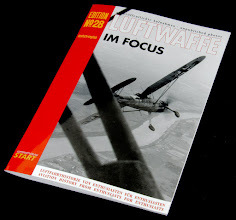 Basically the first installment of the magazine has you assemble the cockpit and forward fuselage section. 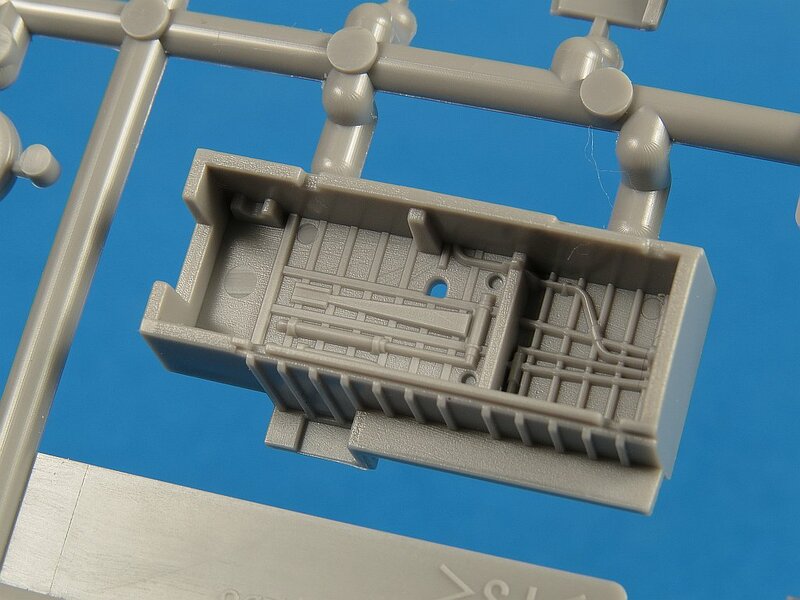 Let’s have a closer look at what you get starting with Sprue A which is the largest of the three and contains the forward fuselage halves, nosecone/radome, cockpit tub, nose wheel strut plus many other detail parts like access bay doors etc. A macro view of the parts reveals the excellent surface detail. Here we can also see the open bays that will house the M61A1 Vulcan cannon. 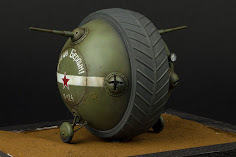 The cylindrical ammunition drum for the cannon is moulded into the fuselage part and will have to be painted in situ. Many of the maintenance access panels on the nose section are provided by FineMolds. 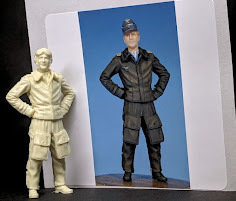 These again look very detailed and will take a steady hand to do them justice in 1/72. The re-fuelling probe can be displayed in the open (extended) or closed position. 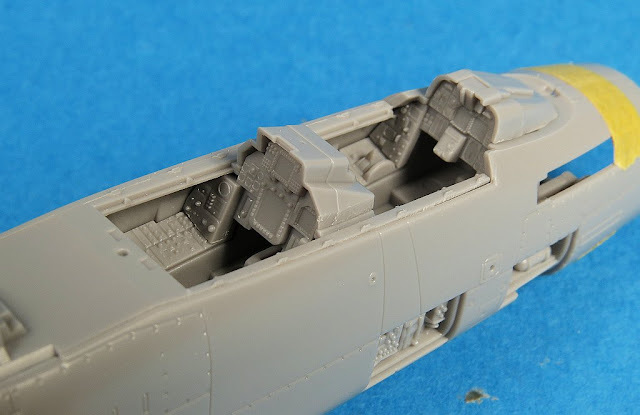 The nose wheel well contains sufficient ribbing and pipework detail to satisfy most 1/72 modellers. There are a couple of visible ejection pin marks but I doubt these will be seen on the finished model once the nose gear and doors are installed. 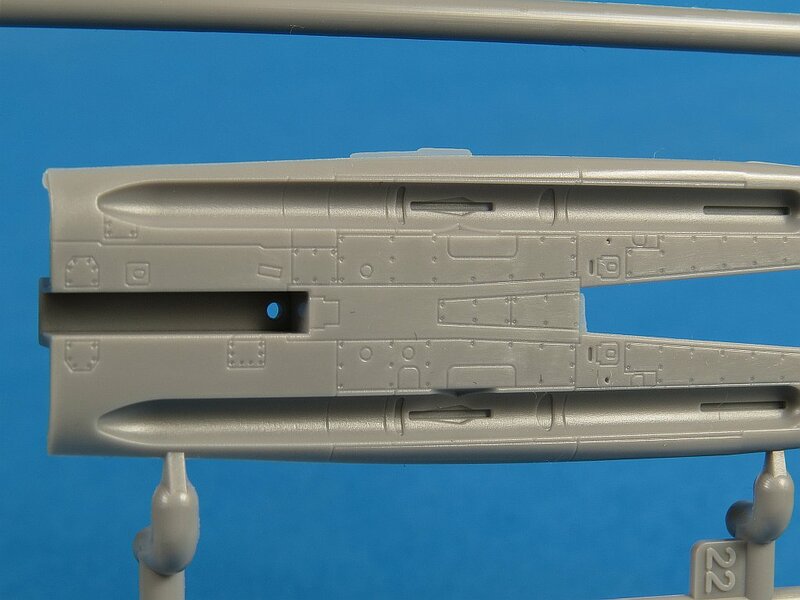 The GE M61A1 Vulcan cannon is nicely detailed and once painted up will look great fitted to the nose bay. 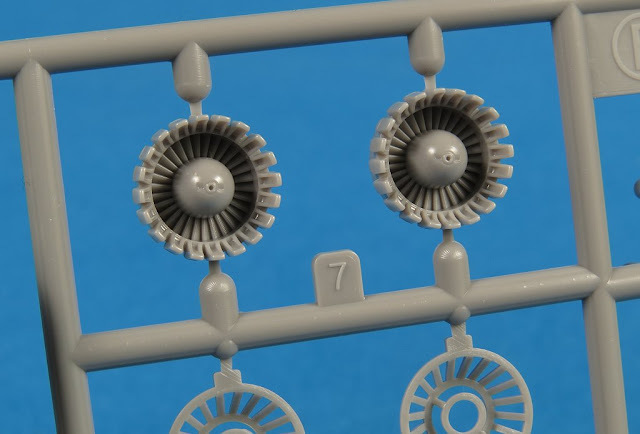 Sprue B contains parts for the GE F110 engine nozzles, a pair of LAU-138 sidewinder launchers with BOL countermeasure dispensers at the back and several internal parts for the engine compressor face and afterburner. None of these parts will be used in this first instalment of the build but will come into play when you get part 2 of the magazine. The D (and B) model Tomcats were fitted with the more powerful F110-GE-400 turbofan engine. 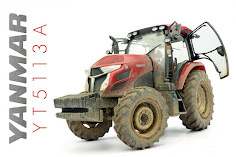 The nozzles provided by FineMolds are in the fully open position and about the only thing I think that they will benefit from is the edges being thinned a little. The internal fan detail on this kit is fantastic. 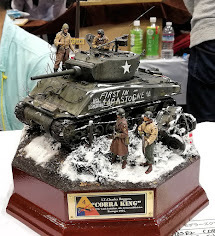 You would be forgiven for thinking this was a 1/48 kit. Sprue C seems to contain all the nose parts that would be unique to the D model Tomcat. 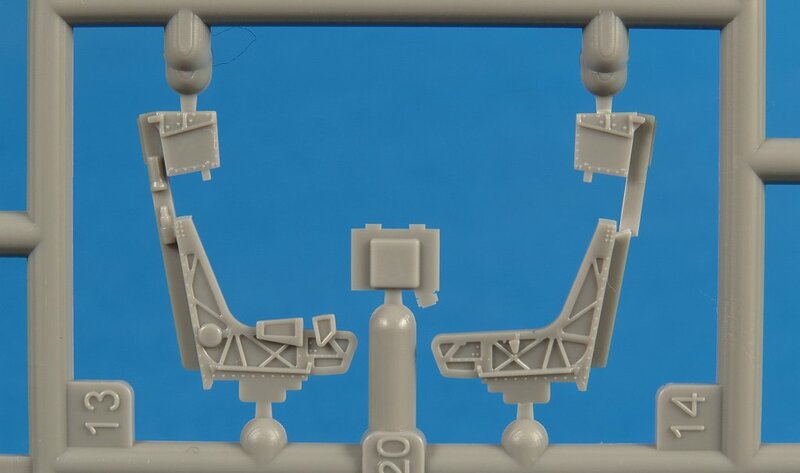 Putting these parts on their own sprue makes me wonder if there are plans to release an A or B Tomcat sometime in the future? The chin pod, NACES seats, instruments panels and cockpit glare shields as well as rear cockpit side consoles are present. The detail on the instrument panels is exquisite. The instructions tell you to cover these with decals but I intend to have a go at painting them. Likewise the side consoles are also very detailed. 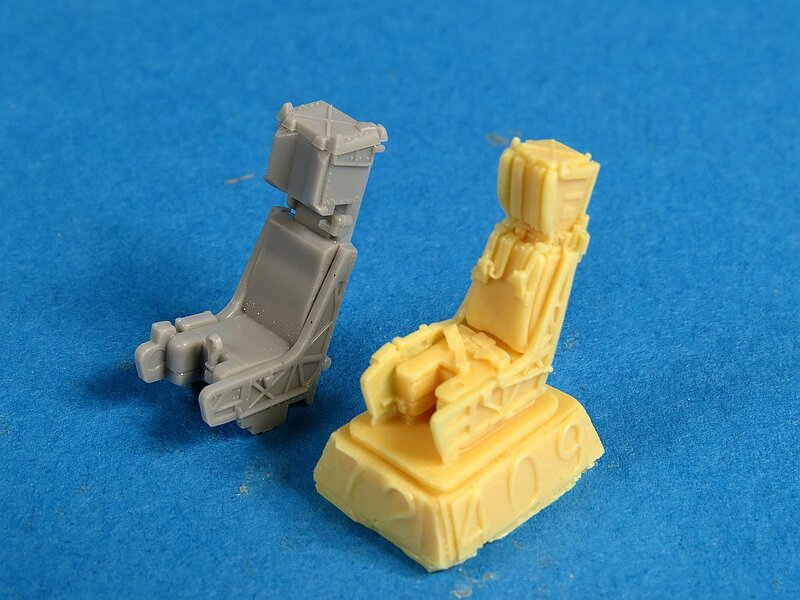 Decals can be used for those that wish to avoid having to paint these very tiny parts. These parts (C15 and C16) are the side consoles for the rear (ie RIO) cockpit. The “D” model Tomcat was fitted with the Martin Baker SJU-17 NACES seat. 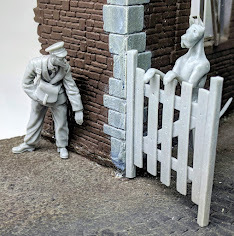 Finemolds have once again raised the bar in what can be expected from a 1/72 kit with the level of surface detail provided. The final component that we get in part 1 is the decal sheet. This has been provided early in the build because we will need the instrument decals for the cockpit. Markings are provided for only one aircraft, the VF-31 CAG bird operating off the USS Abraham Lincoln (CVN-72) in 1997. 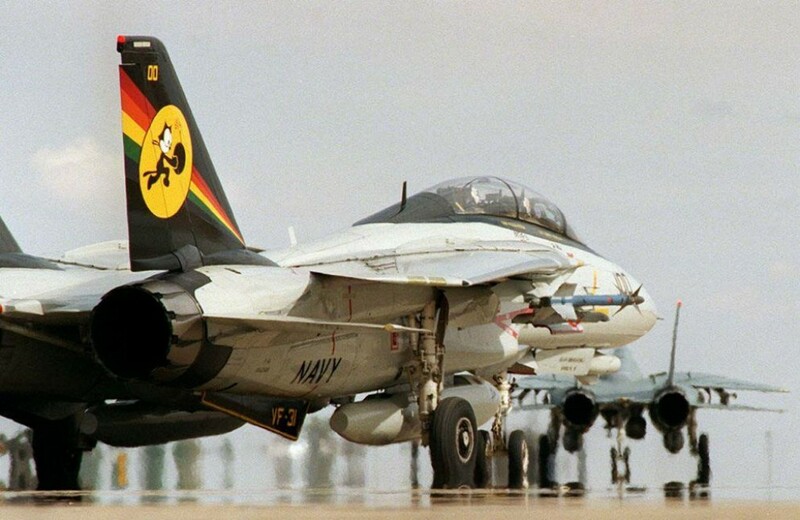 It’s a fairly colourful aircraft (as F-14’s go) but does not appeal to me personally. I intend to build my model as a VF-31 aircraft from OIF finished in the TPS (Tactical Paint Scheme or Low Vis) finish. The markings will come from TwoBobs sheet 72-026. 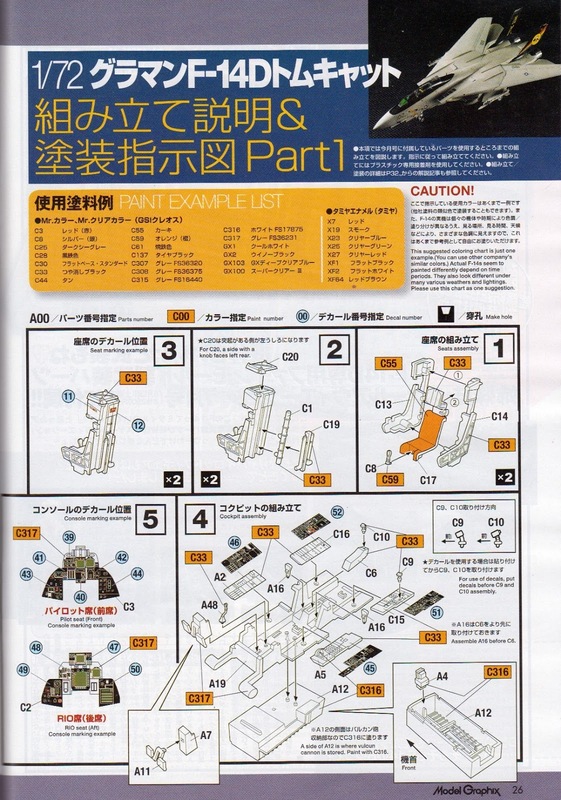 The kit decals appear to be pretty standard fair for Japanese manufacturers. They have good register and whilst not as thin as say Cartograf or Microscale should perform well. The instrument panel decals are provided in easily placeable sections so maybe I’ll reconsider and use them in preference to painting after all. Whilst I was in an assembling mood I continued on and dry fitted most of the major cockpit parts together. I have used no glue here and the fit is very near perfect. The one thing I found odd was the complete lack of sidewall detailing. I realize the F-14 does not have a lot of ‘stuff’ on the sidewalls but it does have some and given the lengths that FineMolds have gone with the rest of the parts I just find it an odd omission. Here we see the two seats dry fitted to the tub. 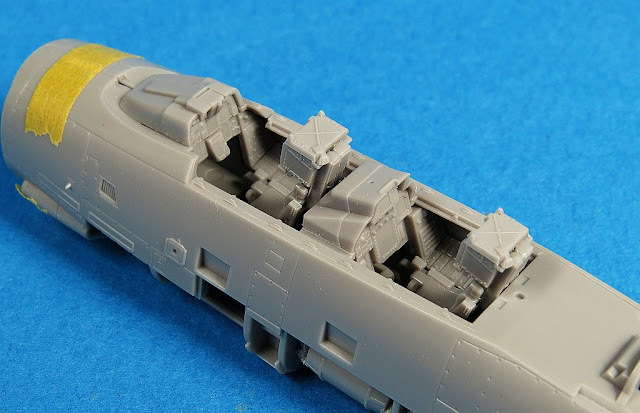 I will be adding a little bit more detailing to the seat heads and using Magic Sculpt to simulate the canvas covers on the glare shields but other than that see little need for extra work. 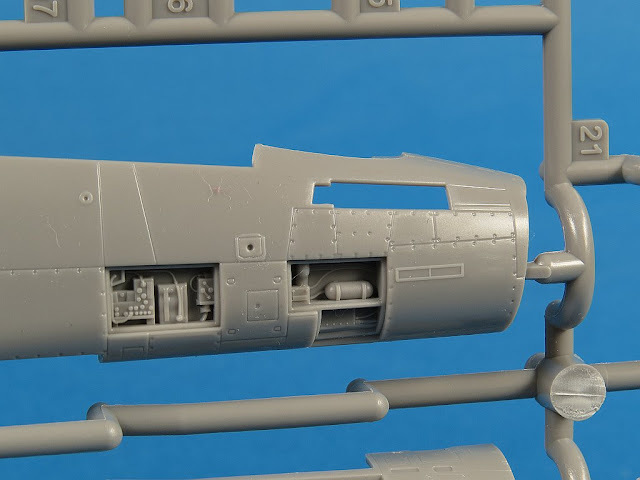 So that just about covers part 1 of the new FineMolds F-14D kit. I’ll be doing a similar look at the second part shortly and have already begun my build, which, I will share later in its own article. I have to say from what I have seen and experienced so far from this kit that it lives up to expectations (which were pretty high). 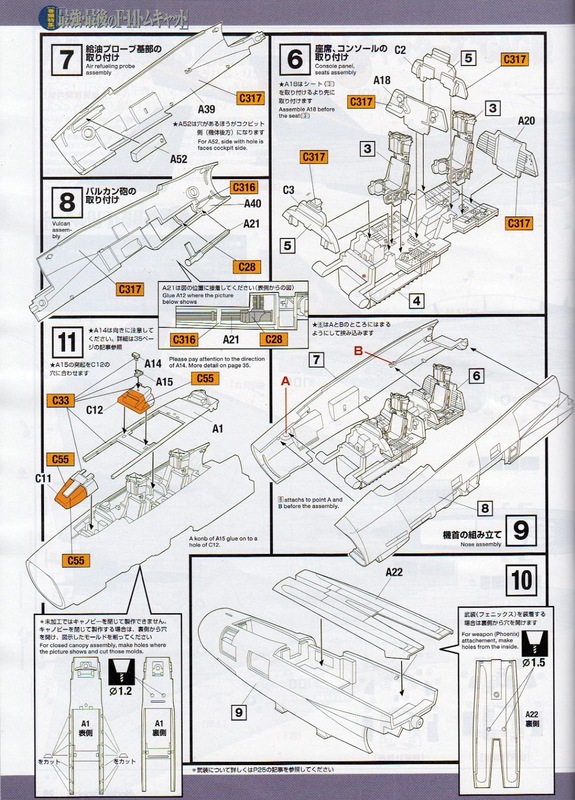 Below I have included some additional photos of the Model Graphix magazine which has some useful photos of the kit assembly but as its all Japanese I can’t comment too much about the text. 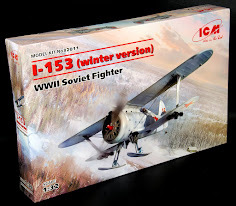 A lot of it is however dedicated to this kit and the aircraft itself, along with some other lovely models which can be appreciated in any language. 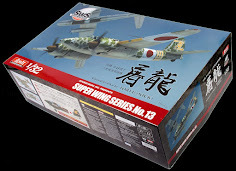 Thanks very much to Hobby Link Japan for providing us with the kit and stay tuned for my part 2 review where we’ll get the low down on the rear part of the fuselage, the intakes and of course the engines. Until then, keep your blade sharp and your brush wet. Happy modelling! !